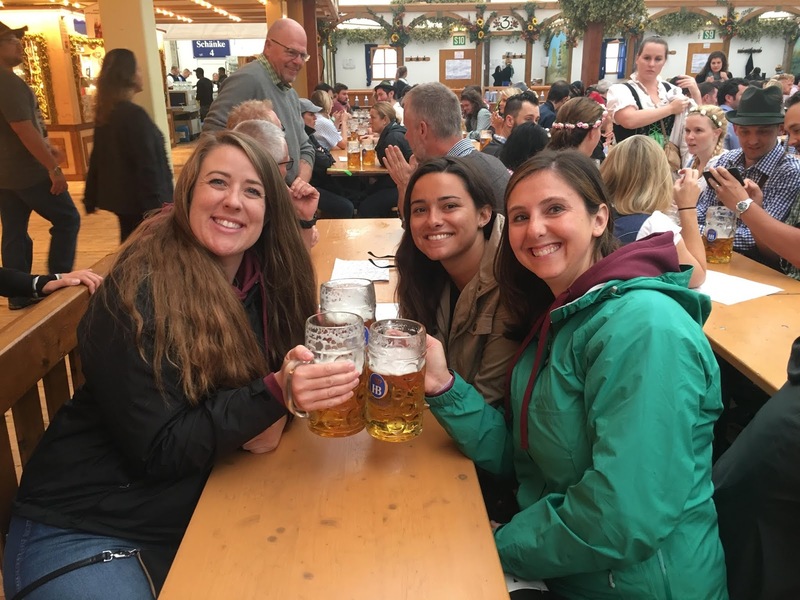 Well, I had an amazing chance to head back to Germany (just a few short weeks after our family trip -- just one of the perks of living in Europe). 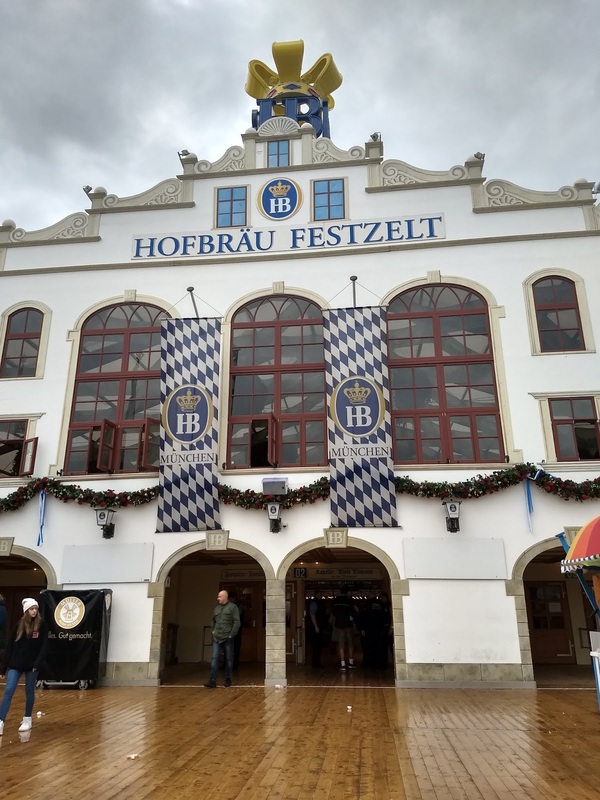 The main purpose of the trip was to go to Oktoberfest but also go to Nürnberg (Nuremberg) to go to their Nürnberger Alstadfest (Old Town Festival). 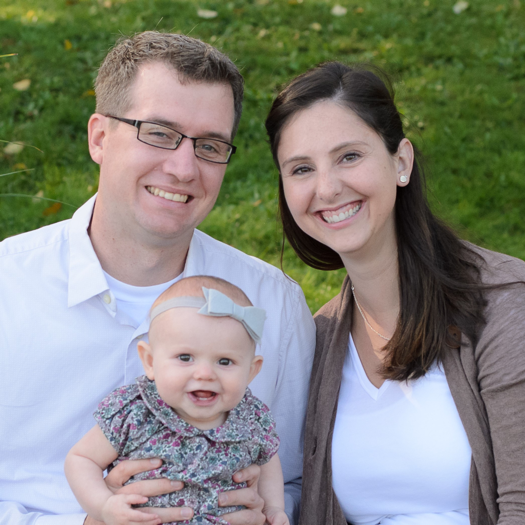 This was a kid/husband-free trip so it was a tad wild and super busy but a lot of fun. The next day we then took the train to Nürnberg where we met up with my friend's brother in law. 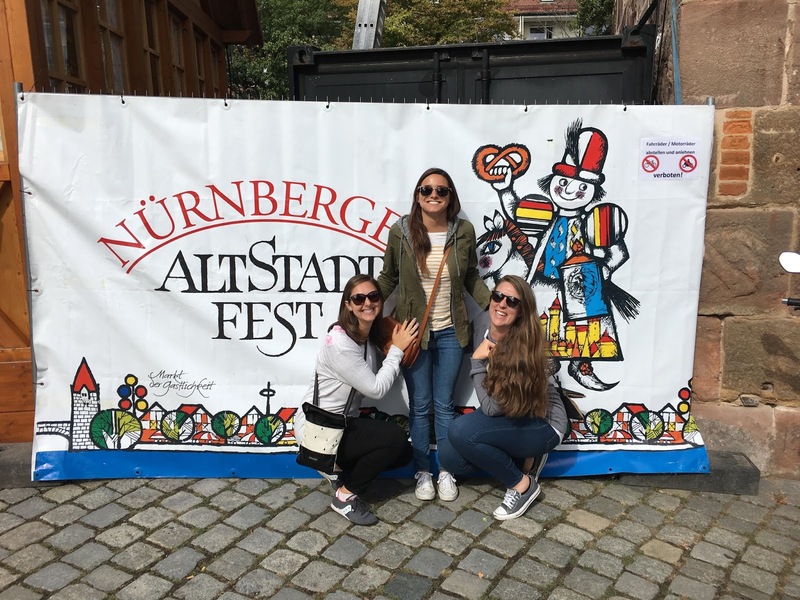 We grabbed some food at random street vendors and went to the Nürnberger Alstadfest which was quite fun. We started out at the bierwerk tent (really more like tables with a canopy over some of them) where we had super yummy beers and just hung out -- chatted, played some card games. We took a short break from the festival and wandered through the pedestrian only part of Nürnberg. This area is actually really large and leaves you feeling like Nürnberg is a small town when in reality it is quite large. We know that there are plenty of amazing things to do in Nürnberg but our sole purpose for this trip was festivals, so we went back to the festival to experience a different tent and just the whole German festival experience (sharing tables, drinking, eating all the yummy Germany food, singing, people watching, etc.)! 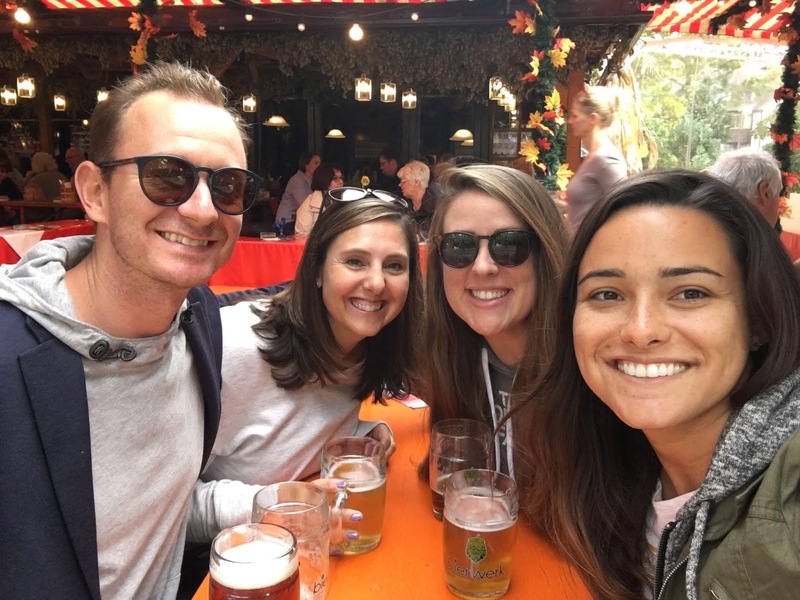 Our next day was a day trip to München for Oktoberfest. 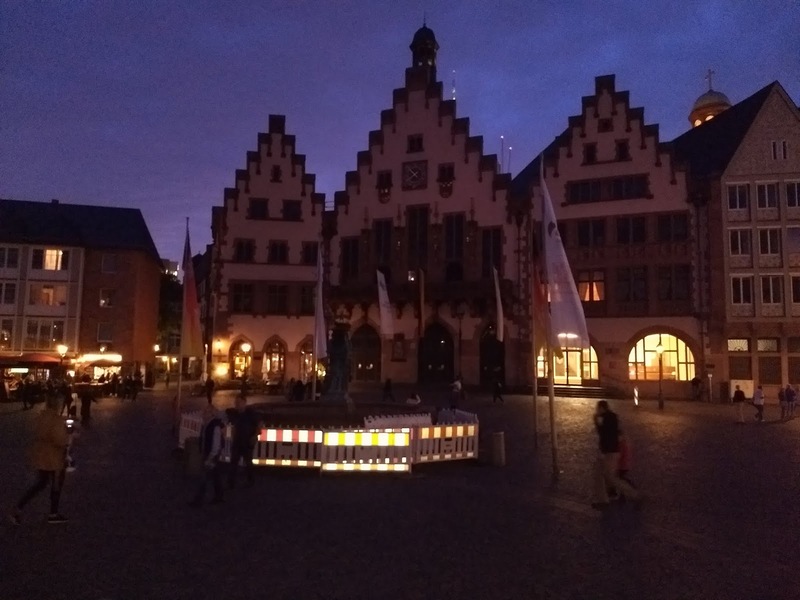 We opted to stay in Nürnberg as it was considerably cheaper and while Oktoberfest is truly amazing, we really only needed one day. We took a super early train from Nürnberg to München and it was a rowdy train even with the early time. 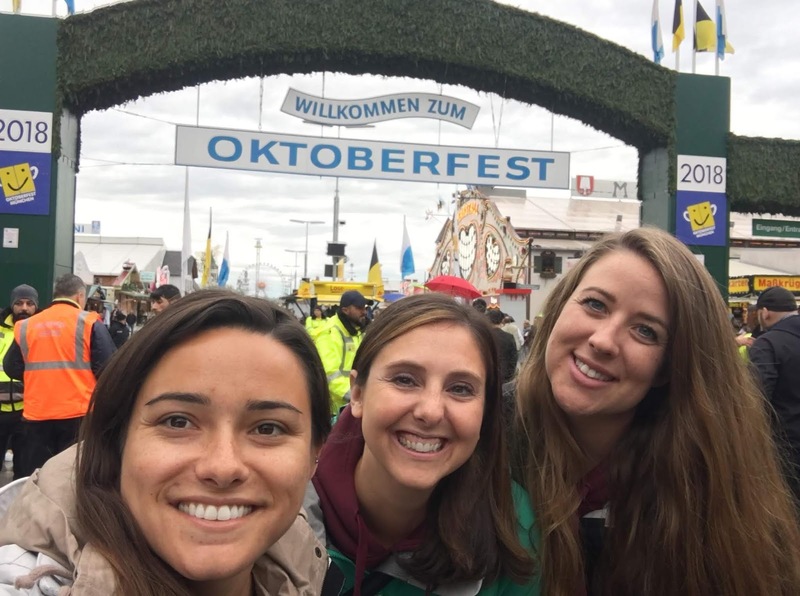 We arrived in München and it was a little rainy so we went straight to the fairgrounds where Oktoberfest is held. We took the obligatory pictures in front of the opening gate. 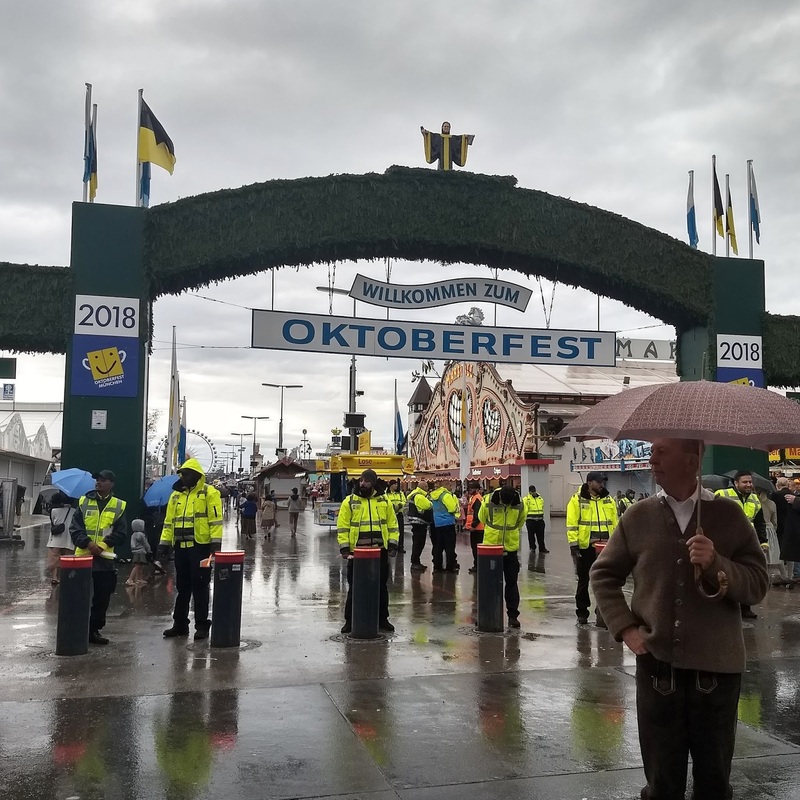 First, Oktoberfest is a huge (HUGE) festival that lasts a little over two weeks each year (always in mid/late September). 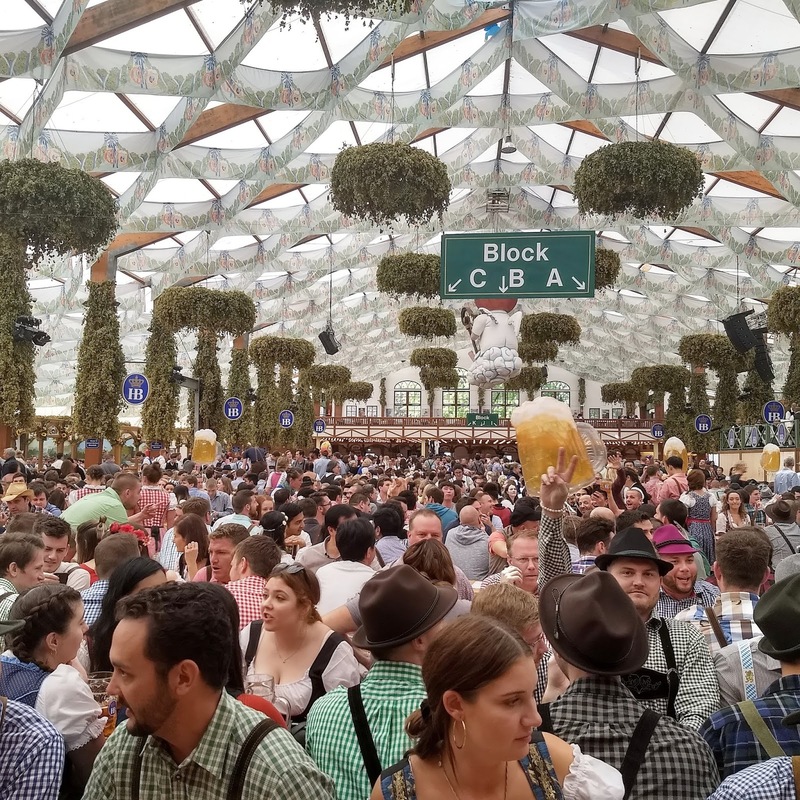 Oktoberfest is basically like Spain's feria but on a much larger scale and with beer -- traditional drinks, traditional outfits/costumes, traditional music and traditional food. 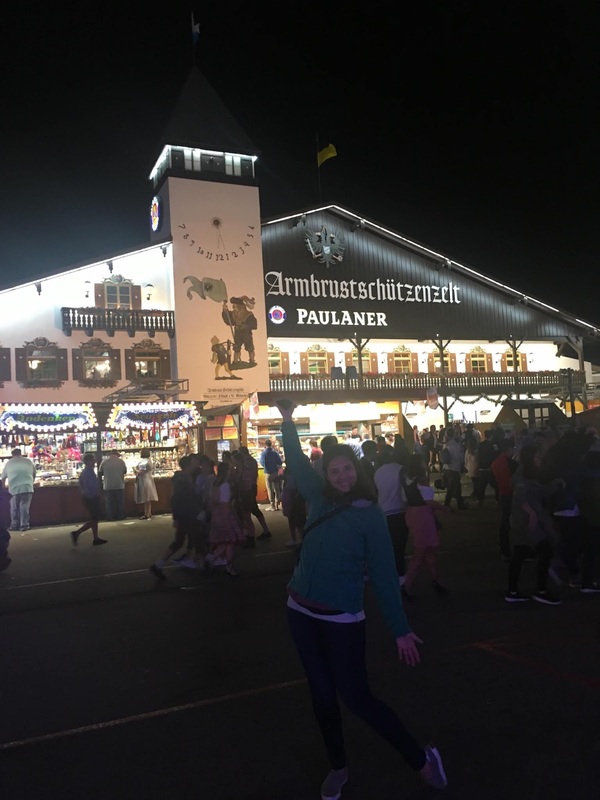 Oktoberfest is held on fairgrounds with make-shift (but insanely elaborate and large) tents, rides, food vendors -- just a much more fun, amazing and better county fair :) The tents are HUGE and made to fit thousands (and thousands) of people. Each are highly decorated (the ceilings in them are super elaborate) and worth a walk through. Each tent serves beer and food, typically only one special festival beer in one liter size only and the food was amazing (so order a lot). You can only be served if you are sitting at a table, so the goal is to get a seat -- tents typically have inside and outside seating. Most people want to be inside as the weather can be unpredictable (and in my opinion, inside is more fun). The for sure way to get a table inside is to reserve one, but that can get expensive. So be prepared to not get a seat at an inside table... 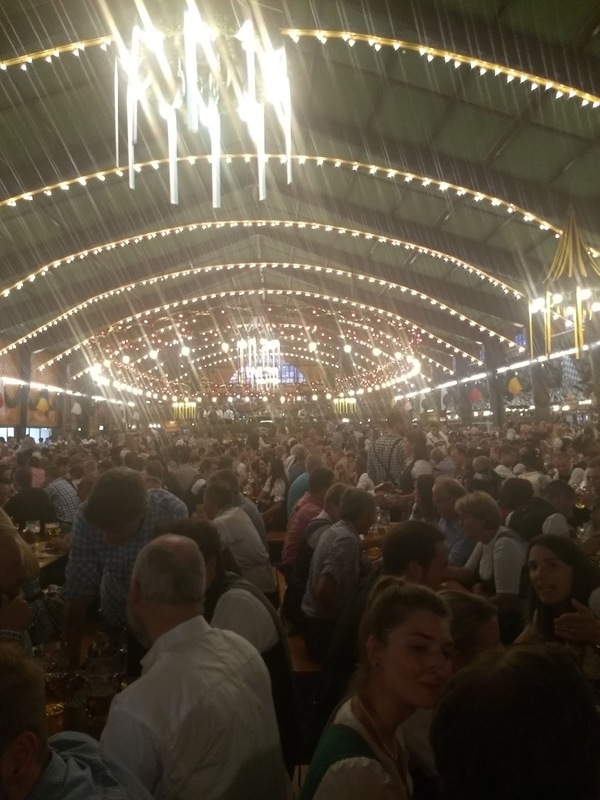 However, we somehow got extremely lucky and got a seat at the Hofbräu Festzelt (Hofbräuhaus) tent so we sat, ordered a beer and didn't leave... met up with our friends who were also in München, met a lot of really great people who shared our table, ate amazing food, drank a good amount of beer, sang some German songs and overall had the time of our lives. Our last full day in Germany was supposed to be another day trip on our way back to Frankfurt before our flight -- we were planning on going to Rothenburg ob der Tauber. However, there was a huge storm that rolled in the night before and caused some serious damage to many of the train tracks, including almost all the "fast train" train tracks heading out of Nürnberg... So our train to Rothenburg ob de Tauber was canceled. Along with tons of other trains that day. We opted just to get back to Frankfurt as we weren't sure how long it would take us. It all worked out in the end and we had a relaxing end to a very fun trip. *Getting to and from the main Frankfort Airport is fairly easy but does take a bit of patience and sign reading. If you land in terminal one, just go straight to the train station and catch an S-bahn train that is going into the city (it will be about 5€). 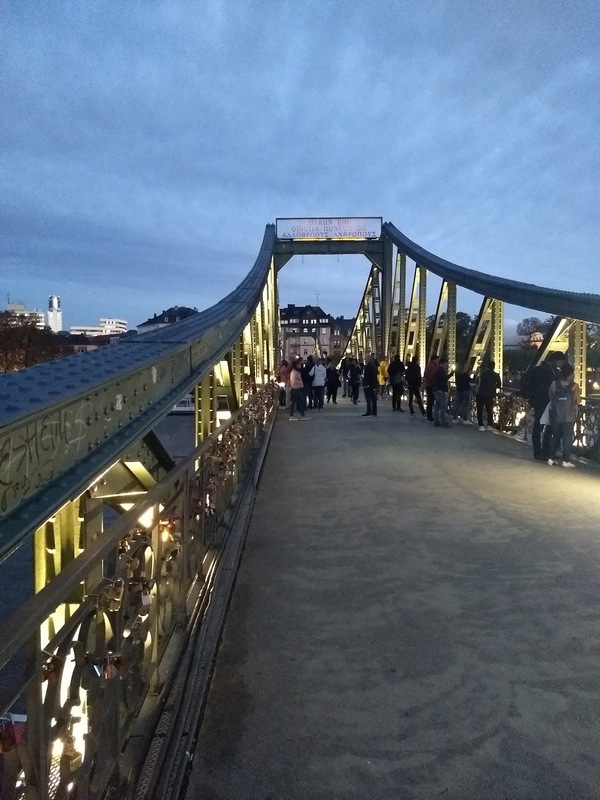 If you arrive in terminal two you can take the airport shuttle bus or the airport tram to terminal one and then walk to the train station and take an S-bahn train into the city... basically just follow the opposite route for getting to the airport from the city! **Germany is a cash economy. They use cash for everything and many many places don't take credit cards (even some hotels). 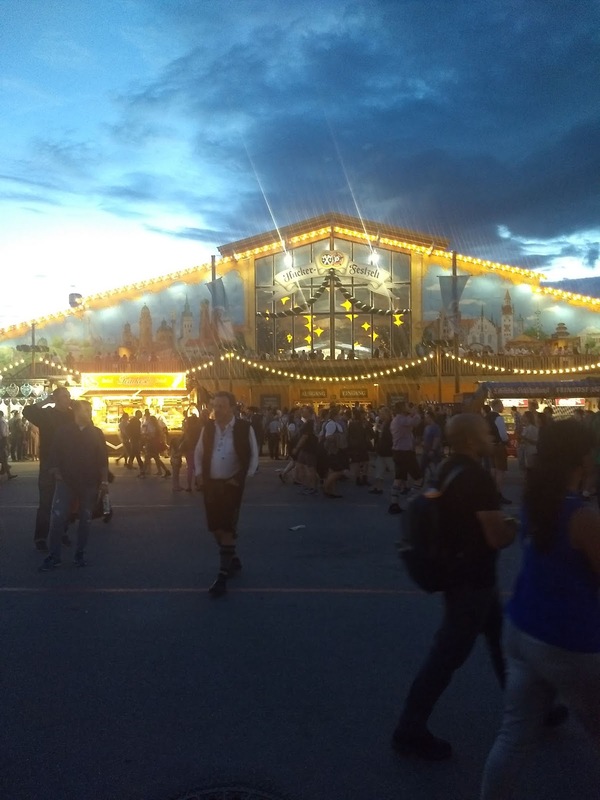 Oktoberfest is cash only for everything, so be prepared to have cash on hand.